Education and e-learning service Khan Academy has come a long way since in the last nine years. It’s grown from a one man operation to a full-fledged non-profit with a staff of 80 people and the organization’s videos are more accessible than ever thanks to support for more than 40 languages. Today, the company announced another major step in its quest to bring convenient, free e-learning to the masses: the iPad. 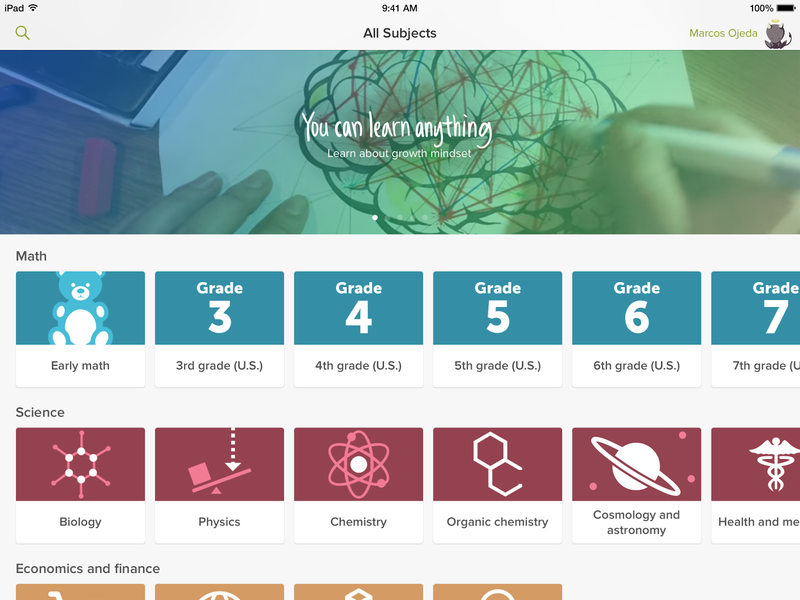 Specifically, iPad users now have full access to the full Khan Academy library for the first time. 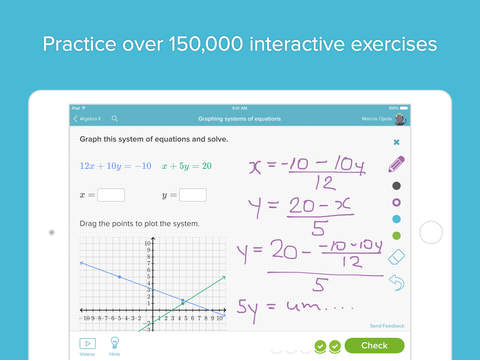 In addition to the video access they had before, students using the iPad will now be able to take advantage of fully interactive, personalized learning thanks to 150,000 interactive exercise (which are adjusted based on your personal use of the app), and the ability to show your work via support for handwriting recognition. Progress is tracked and synched to the website so you can access up-to-date recommendations and exercises from anywhere. Khan Academy has 80 people on staff facilitating the learning of more than 15 million students every month. In a blog post published today, the company talked about how much demand there has been for a more full featured tablet application but it did not elaborate on how many of its users were using the site on mobile devices.